Are you tired of enormous tumbleweed tangles of cables amassing in the bottom of your bag? Do you hate spending minutes scrabbling in your satchel to extract your portable charger? Don’t you wish there was a way to prevent all of your tech getting busted and scratched in transit? As our everyday lives become increasingly technology heavy, it’s probably time to invest in a handy carry case for all of your kit. While your watchwinder box probably isn’t going to fit into any of these beauties, they will contain all of your cables while protecting your gear on the go. That means no tangles, no scratches and no swearing at your backpack as you desperately try to dig out your wireless speaker. Sounds like the answer to your prayers, right? Here are three of our favourite carry cases for your technology.. 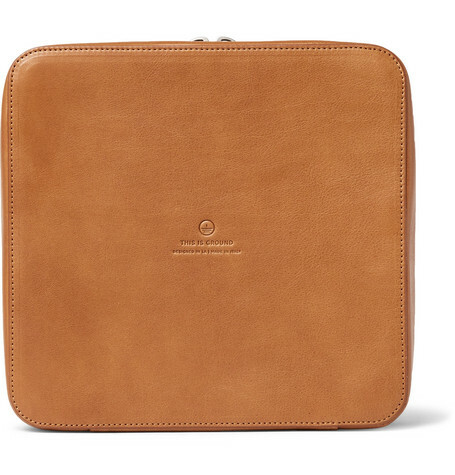 Inspired by the sleekness and the convenience of grooming kits, this Italian-made leather technology carry case is stylish and incredibly handy. Available in a range of sizes (this is the larger version), you’ll find handy loops for securing all of your cables and chargers, as well and useful pockets, pouches and straps for all of your devices. Want to carry your technology around in impossibly elegant fashion? This is the tech carry case of your dreams. 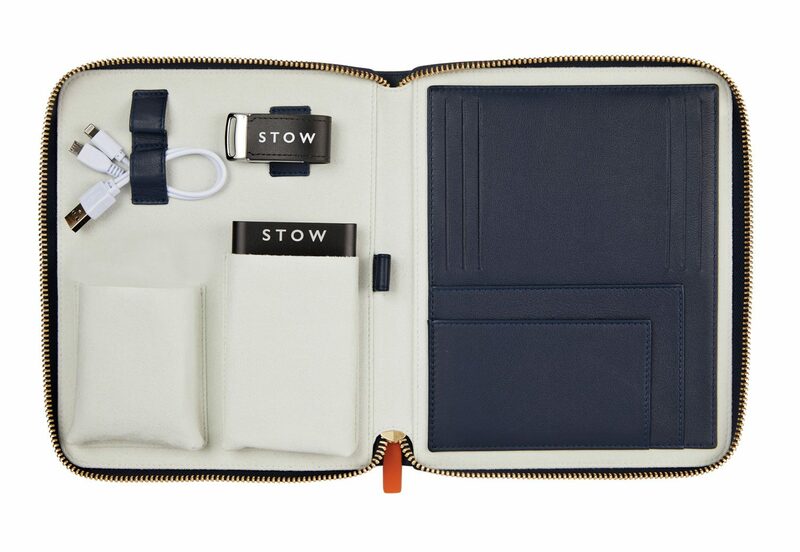 Avaiable in five different contemporary feeling colourways, this zipped leather case includes all of the straps, sections, pockets and places you need to stash your stuff in perfect, stupidly satisfying order. You can ever order an embossed version, if you really want to make your mark. Feeling practical rather than decadent? This very helpful little cable organiser is extremely neat and very affordable too. 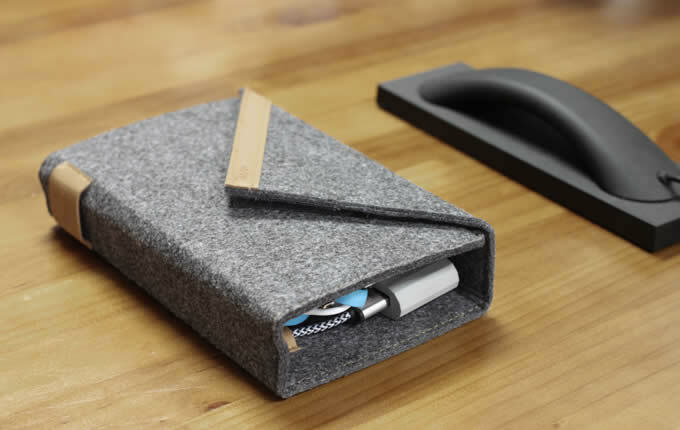 The felt organiser looks good and includes a handy hook up to your portable charger, with USBs and cord holders for all of your devices and cables. Whether it’s your phone, your tablet, your laptop or your speakers which need a boost, simply plug in and charge up – faff free! How do you organise your technology on the move? Have you come across any other technology organisers or carry cases you like the look of? Share your personal picks and tips with other readers below.